After playing for Mile Oak Monarchs as a young prospect, Albrighton joined Aston Villa at the age of eight. By his late teens he was representing the Midlands club's youth teams. The Tamworth-born winger made his competitive debut in a 2-0 UEFA Cup defeat at CSKA Moscow on 26 February, 2009. On his first of eight appearances, Albrighton scored his country's second as England's Under-21s qualified for the 2011 European Championship play-offs after they beat a stubborn Lithuania in September 2010. "My friend had said my mum was crying in the stand so when you can make your mum cry at a football match, by doing the right things, it’s obviously special." That's how Albrighton described scoring against Manchester United in a 2-2 draw at Villa Park in 2010. As the scorer of the 20,000th Premier League goal, in a 2-1 defeat by Arsenal in December 2011, Albrighton's name will be in the history books forever. Following City's promotion to the Premier League in 2014, Albrighton joined Nigel Pearson's Foxes in the summer. Albrighton's first Leicester City appearance came from the bench in a 2-0 defeat by Chelsea in August 2014. 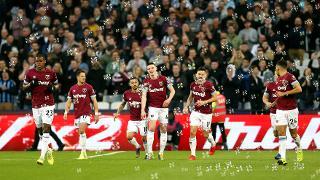 While Albrighton's first Foxes goal came in the reverse fixture against Chelsea, seven wins in nine games sealed City's escape from relegation, despite being bottom at the start of April. An opening day victory over Sunderland in the 2015/16 season included an emotional goal and celebration for Albrighton at King Power Stadium. Described by manager Claudio Ranieri as 'the spirit of Leicester', Albrighton played a key role in City's 2016 title triumph, scoring in a crucial 4-0 win over Swansea City in late April. City lifted the title in May 2016 following a 3-1 win over Everton at King Power Stadium. Albrighton played in all 38 of Leicester's league games. Albrighton pounced in just the fifth minute to score one of the most iconic goals in the Club's entire history, the opening strike of their UEFA Champions League debut at Club Brugge. Another two from Riyad Mahrez sealed a 3-0 success. With City leading Sevilla on away goals in the Last-16, up stepped Albrighton to volley home from the edge of the 18-yard box in the 54th minute, before Kasper Schmeichel saved a penalty from Steven Nzonzi to book a quarter-final tie with Atlético Madrid. The former Villa star continued to be a reliable figure in the Foxes dressing room, making 34 appearances for the Club in the 2017/18 season. After already scoring against Manchester City in the Carabao Cup eight days earlier, Albrighton's header on Boxing Day 2018 helped seal a 2-1 win over the champions. Albrighton has agreed a three-a-half-year deal until 2022 at the Club.